Jet Air Rocket Blaster. Air powered rockets, no battery, no fuel required. Ready to fly in seconds with easy set up. Adjustable launcher. 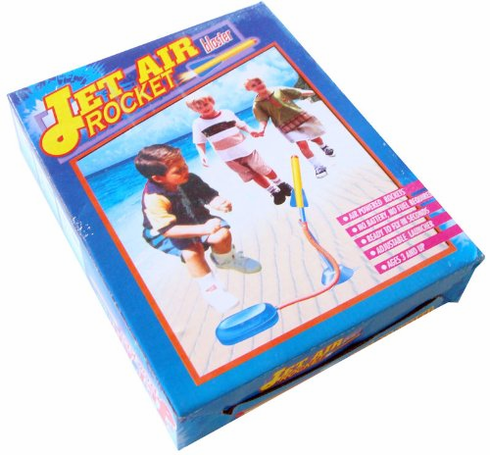 Includes four foam rockets.